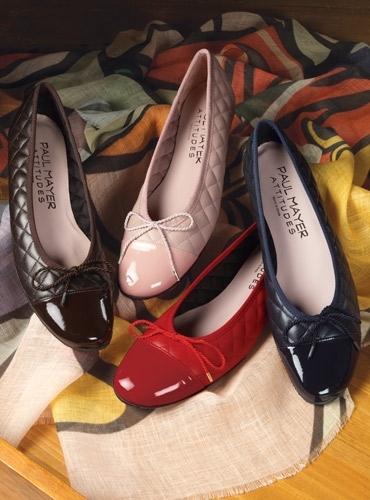 Quilted nappa leather flats with patent cap toe. Handmade in Spain. 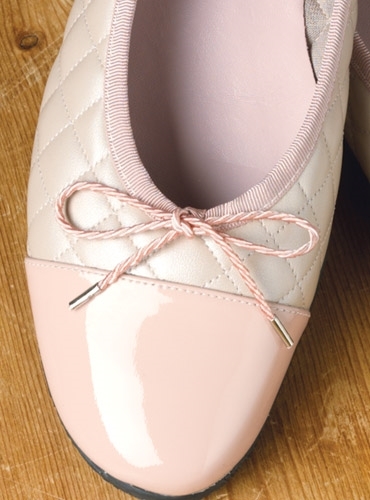 Available in sizes 6.5–10, we offer it in two new seasonal colors: F-navy; G-blush.